SpeedyFoam is safe for coated and uncoated coils. It is an acid-free, alkaline, non-caustic, degreasing foaming formula. (Say that ten times fast, I dare you). It’s safer for employees to use, more effective on grease and works great on all metals and has a clean, fresh scent. Plus it’s 4x concentrated, so you get more bang for your buck. It’s designed for use with CoilJet and Condenser Needle but can be used with pump sprayers too. 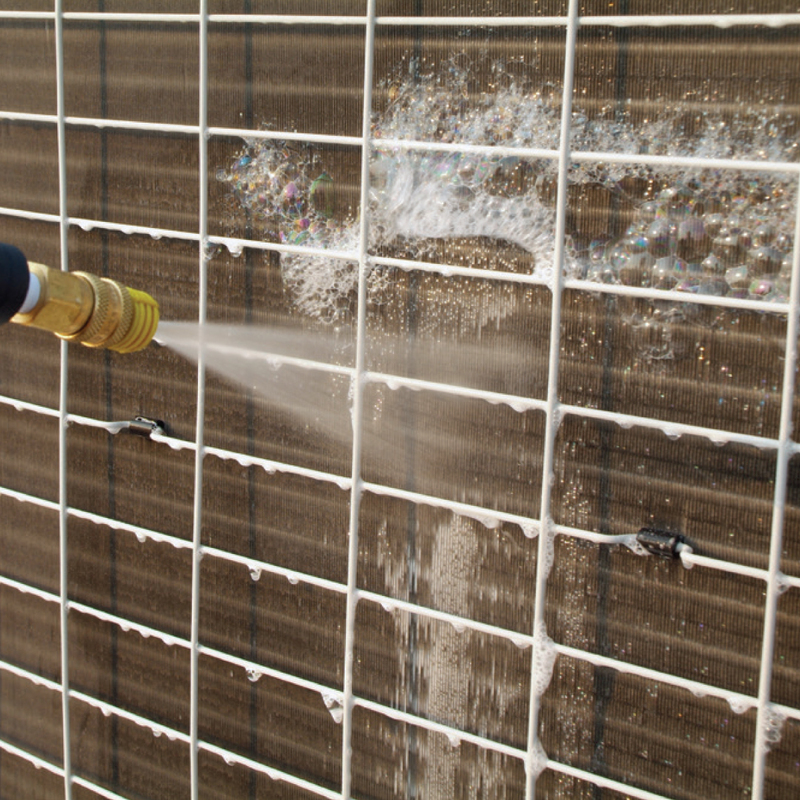 Removes grime, oil, grease and rust from condenser and evaporator coils, mechanical equipment and air filters. Looking for a coil cleaner that’s powerful enough to clean even the dirtiest, greasiest coils, but safe on coils and safer for you and your co-workers? SpeedyFoam® is a safer coil cleaner for today’s coated and uncoated coils. SpeedyFoam is an acid-free alkaline foaming coil cleaner delivers superior HVAC coil cleaning power without the harsh effects that other, caustic/acid cleaners have. Plus it offers an advanced degreasing formula for cleaning coils in restaurants, hotels and other harsh greasy environments. SpeedyFoam has an ultra foaming micro bubble action that moves deep into coils to lift and flush dirt and debris. It also has a fresh scent too and leaves coils looking – and smelling – great. Comes in a 1 gallon bottle. Cases and 5 gallon containers available via custom quote. Where can I find the SDS for SpeedyFoam? SDS documents for all our products are available in the support section. Click here to view the SpeedyFoam support page. Do to need to dilute SpeedyFoam coil cleaner? Yes. SpeedyFoam is a foaming coil cleaner and needs to be diluted prior to use. For heavy cleaning dilute it at a 4:1 ratio (water to SpeedyFoam). for medium cleaning, 6:1. For light cleaning 10:1. Can I use SpeedyFoam if I don't have a CoilJet coil cleaning system? Yes, you can use it in a variety of pump sprayers as well. 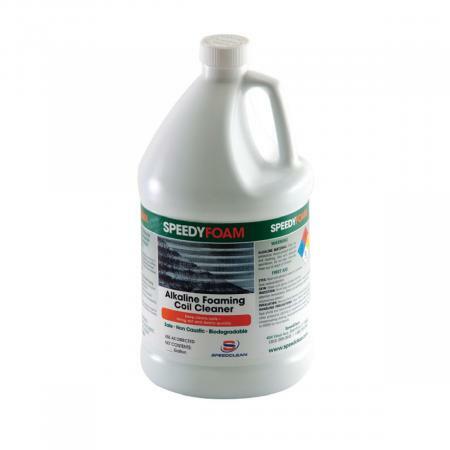 However, SpeedyFoam is designed for use in the CoilJet, which makes it easy to mix and apply. Does SpeedyFoam include an acidic materials? No, SpeedyFoam is a non-acid alkaline cleaner and is safe for use on all metals. Does a foaming coil cleaner work better? Yes, the foaming action lifts dirt deep inside coils and helps move it to the surface where it can be more easily flushed out.